The use of Cranes ands M.E.W.P. 's (Cherry Pickers). 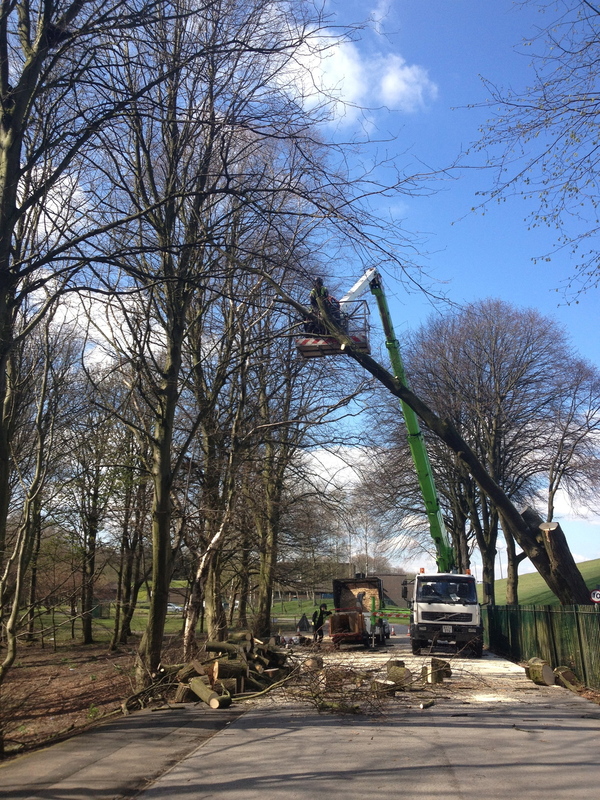 This operation should be carried out when access into the tree by a climber is deemed to dangerous. This maybe due to trees being in the last stages of decay, with no suitable anchor points in the existing canopy. Another factor that may require this method could be storm damage which has made the tree or trees become unsuitable for climbing (Limbs Snapped Out or Uprooting).